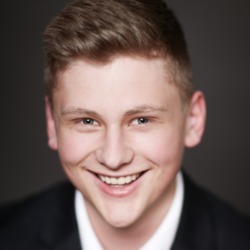 Hi, I'm Anton Lydike, an Augsburg based hobby full stack dev. 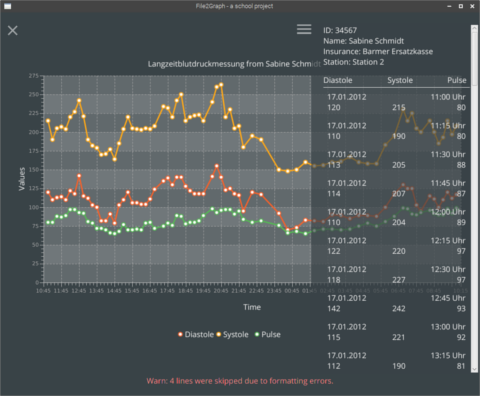 I am currently studying computer science at the university Augsburg, Germany. I love creating things to solve problems, to make people happy, or just because I had that one (seemingly) great idea. Check out a list of things I created in my portfolio. I am thinking about secure services and am constantly trying to create some myslef - and then try to break them. I haven't released anything bigger than a simple package yet, because I don't trust my own crypto unless someone much more experienced than me takes a very close look. I love doing web-related stuff. I set up my own RaspberryPi server to host some projects, created a plethora of more or less useful projects ranging from short-time-low-effort to why-does-this-take-so-long and spent countless hours on reddit reading blogposts on language trends or security breeches. Neural Networks are at the forefront of modern, large-scale software engineering. And that's where I want to be too. This is one of the reasons why I'm currently getting my bachelor of science in computer science with mathematics as a minor. I am very experienced with the basic and advanced features of HTML. I have grasped the concepts of the DOM and shaodow-DOM. I often use the Pug (a.k.a. Jade) precompiler. I have some experiences in creating my own css designs but prefer frameworks as they brings consistency to the product and streamline development. I often use the LESS precompiler. Meteor is such a cool framework for web applications. That said I sadly am not as experienced as I would like to be, although I am constantly improving as I build projects with Meteor. MongoDB is a NoSQL database natively included in Meteor. As I learned Meteor, I quickly fell in love with it as it's such a simple and easy to use database. As learning MySQL is part of my schools programme, I got quite in depth with it. It is my prefered database to use in conjunction with PHP as it requires very little effort to setup a database (compared to MongoDB). I use GitHub for a lot of my bigger projects. A few of my projects are currently in private repositories but I might make them public one day. I switched to Linux a couple of years ago and learned a couple of things since then. I did some bash programming and learned a few administrative things while setting up my RaspberryPi. I wouldn't call myself Linux savvy by any stretch of the imagination. I developed a wide variety of things in the last couple of years. Here is a collection of projects that I found particularly interesting or worth mentioning. 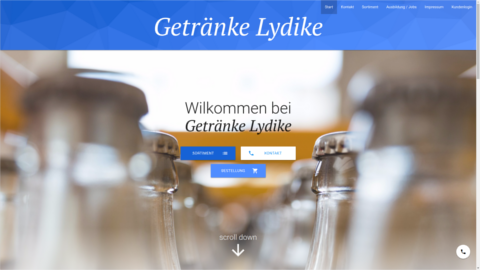 Getränke Lydike is a beverage wholesale in Berlin. The Website is designed with a large font, large spacing and professional imagery to have a very clean but inviting look. Their customers are able to register, view what's in stock and order online. It has an interface where the staff can feed the product catalog directly into the database. 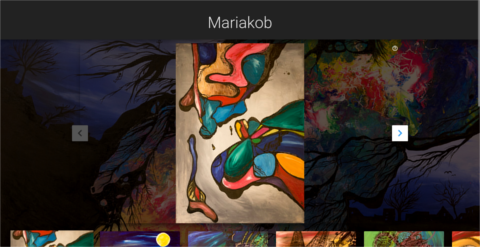 Mariakob is the website of my brother and his girlfriend who are painting together. The center of it is the big slider which displays their images in all their beauty. 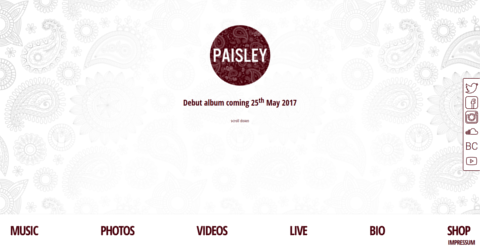 PAISLEY is an indie rock band from Dresden. Their website is a simple one-page design with vertical scrolling, where you can find everything from their youtube videos to the concert schedule. 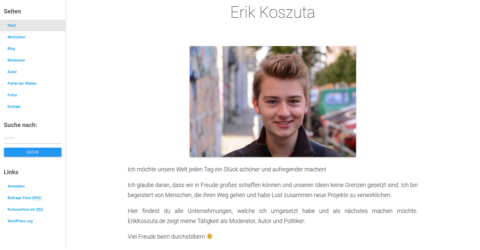 Erik Koszuta is a german host, author and politician. As this website is also used as a blog for him, I created a simple custom Material-Design based Wordpress theme. This is one of my favorite little JavaFX projects. 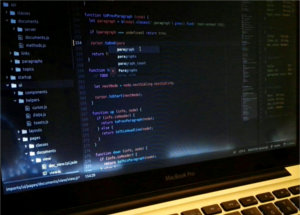 I used a framework in JavaFX which I had created earlier for a more complex project. I implemented a drag'n'drop file import first, which read the data from the file into an easily usable data structure. I then built another view which would use that data structure and draw it as a graph. What I love so much about this is, that I could easily expand the functionality because I have such a clear structure. 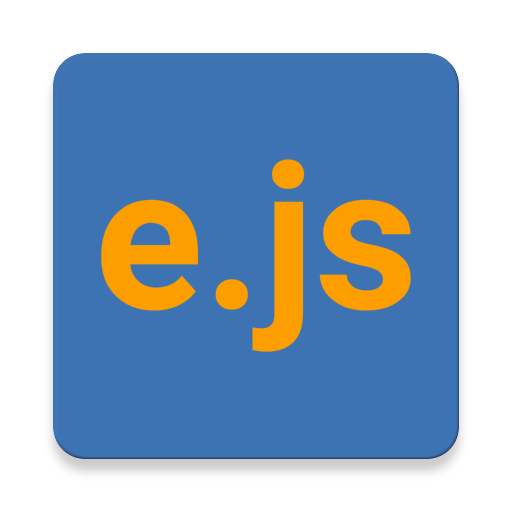 enary.js is a frontend framework I created as I wanted something similar to Meteor, compatible with an Apache webserver (running PHP and a MySQL database). It isn't finished yet and I am not sure if it will ever finish. I do not recommend using it for your project as there are so many better choices out there.